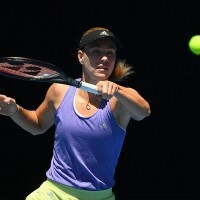 Angelique celebrated her 31st birthday by making short work of home wildcard Kimberly Birrell to progress through to the last 16 of the Australian Open. 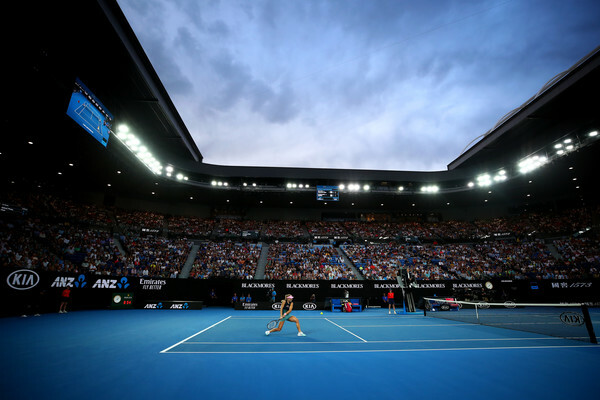 Kerber, the 2016 winner at Melbourne Park and a semifinalist 12 months ago, broke in the opening game of the match and would not allow her grip to be loosened by a game opponent who had previously upset No.29 seed Donna Vekic this week. While the 20-year-old showed flashes of brilliance, she came up against an opponent in inspired form, whose capacity to hit winners from the most unlikely of situations saw her rattle through the first set in just 27 minutes. By the time Birrell sent a backhand well over the baseline as Kerber closed out the first set, she had seen 12 points in succession go against her. At the beginning of the second, the Australian, who played above her ranking of WTA World No.240 in spite of the outcome, twice threatened to hold serve and gain a fingerhold in the match, yet a combination of unforced errors and the pressure coming from the other end of the court prevented her from doing so. Kerber maintained her formidable level for much of the second set and closed it out without losing a single game, taking the match in little under an hour. Danielle Collins is up next for Kerber, who has lost only 10 games in the first week of the competition.